Based on your particular goals, you should have different content plans & strategies to grow your blog. 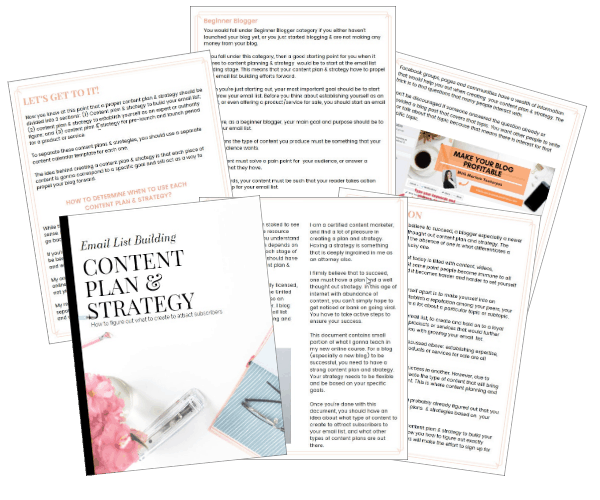 Content plan & strategy will make the process of growing your blog, creating and establishing your email list, establishing your authority and preparing for a launch a lot simpler. Moreover, a good content plan & strategy will propel you forward in a natural way. If you have a content plan & strategy, it can help you immensely when want to build your email list. Plan out your content strategically so you have success with your readers. Establishing expertise and reputation is extremely important in the long run. Having a solid content plan & strategy will aid you in this process. If you have a product or service to offer to your readers, then you need a way to promote your content, to spread awareness about your offered products or services.